What is install mean ? 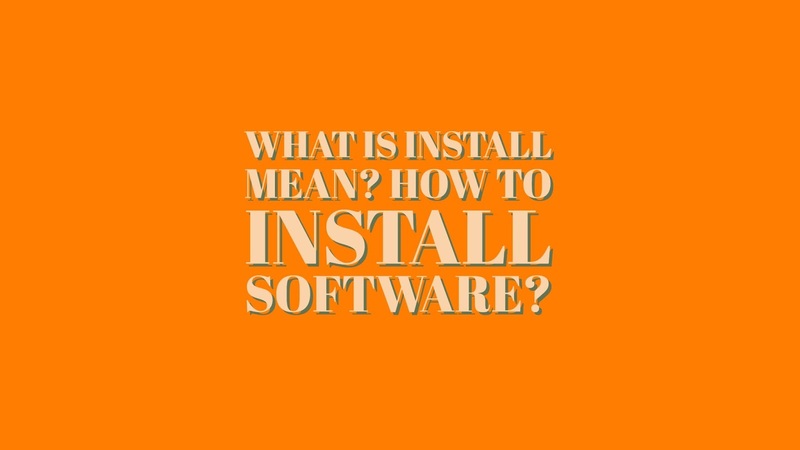 How to install Software ? Welcome, Today I will talk about a very popular word on the computer. It's " Install ". Install in computer hardware describe the process of connecting a physical component to a computer. Such as installing new Ram or install new computer peripherals. But if you use install word with computer software, then the mean will differ. Install in computer software refer to processing create or move software files to run a software program on a computer. This install run install or setup file on the disk and can be done by downloads a program. 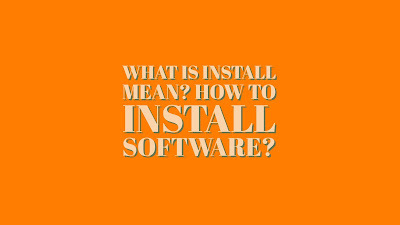 Let discuss some information and tips about installing software. 1. Before installing computer software you should sure the computer meat system requirements of the software that need to install it. 2. Readme File contains manual instructions on how to install the program and how to use it. 3. Before start installing new software, prefer to disable or close other programs. 4. Some computer software may request to restart your computer to complete the installation process. How to install from CD Drive? If the CD is autorun of the game or software that needs to install then this will start process installation directly when you put a CD in the drive. But, if the CD does not support Autorun, then you need to open My Computer icon from Desktop. You will see CD drive icon has a new icon of the software and then open CD Drive letter. search for setup or install file with .exe or .msi extension and double-click on it. How to install software without CD or from download or USB drive. Download the program from the website and open download folder and double click setup or install file, sometimes we need to extract .rar or, zip files to extract installation files.